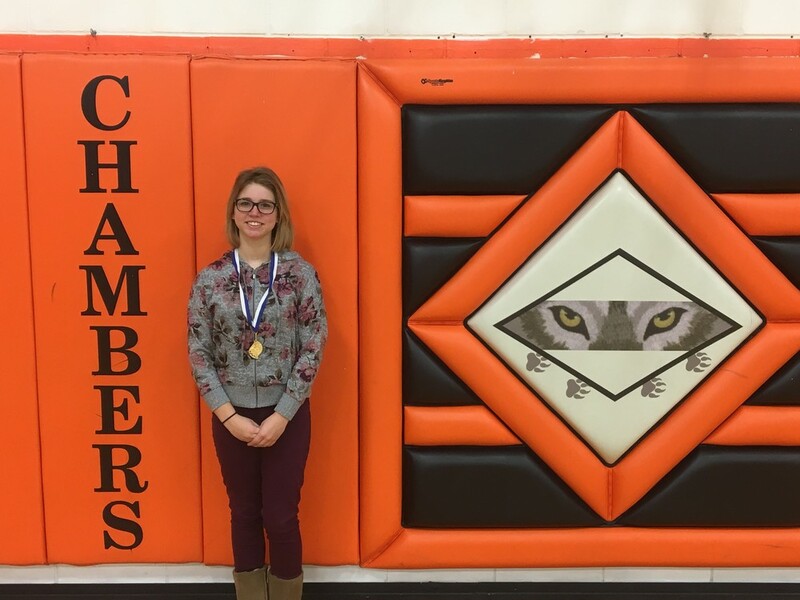 Chambers hosted the annual Holt County Spelling Bee on Friday, February 8, 2019. The contest was held at the Chambers Community Center. A total of 40 students from 5th through 8th grade from Chambers, West Holt, O'Neill, Ewing and Stuart battled for the honor to compete at the State Spelling Bee in Omaha on March 2. After 14 rounds, Hannah was the last person standing. Congratulations and good luck in Omaha!